Mail Processing - Tesh, Inc.
Standard presorted mail is an economical way to send newsletters, sales flyers, or even holiday greetings. And for qualified non profit organizations the savings are even greater. The US Postal Service offers discounts to customers who are sending 200 or more pieces of the same item but for many the permit fees or paperwork requirements reduce the attractiveness of this option. Tesh can help! We can mail these items for you using our permit (or yours if you prefer) saving you time and money. If you have smaller volumes or have a requirement for first class postage Tesh can handle that for you as well. 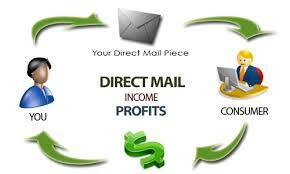 We offer fast friendly service whether you are mailing a weekly sales flyer or your annual report. We can help you. Pricing: All services are quoted on a per piece basis so there will be no surprises at the end. Call Howard Hogan, Manager of Commercial Services, or the Vocational Center @ 208-765-5105 to learn more about how we can help you.